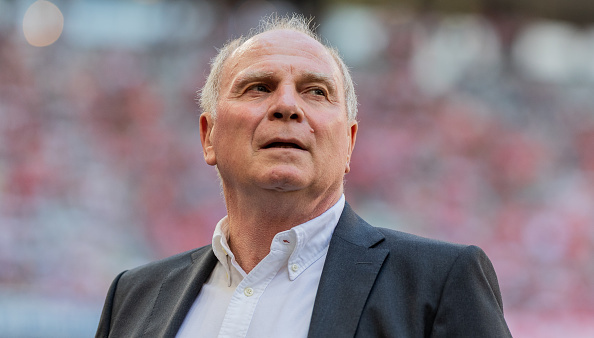 Bayern Munich President Uli Hoeness has confirmed that the club will launch their biggest investment programme during the summer transfer window. The German giants have under-performed during the current campaign, and Frank Ribery and Arjen Robben are both known to be leaving the club at the end of the campaign. Bayern have been heavily linked with a big-money approach for Chelsea's Callum Hudson-Odio and Hoeness has hinted that another offer could be made for the youngster. At a Munich brokerage fair, Hoeness said: "We are in the process of rejuvenating our team. It's the biggest investment programme FC Bayern has ever had." Bayern have already confirmed that World Cup winner Benjamin Pavard will join the club ahead of next season.